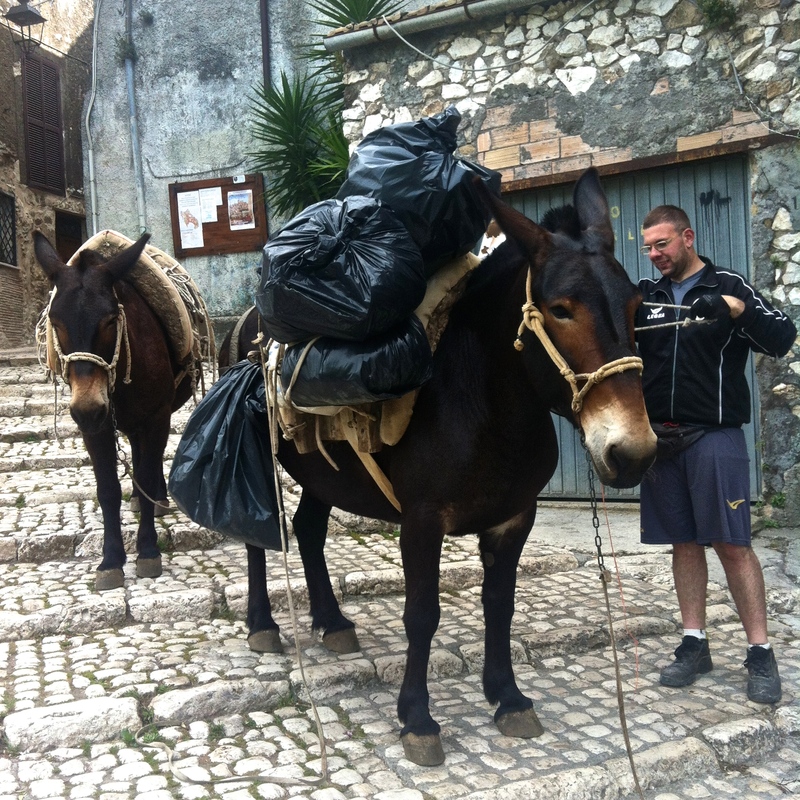 I left Enrico’s gypsy wagon farm and headed to Rome to meet a possible future travel partner from France, touring the Sistine Chapel and staying in a beautiful medieval village nearby. Then onto Orte on the border of Umbria for three days, cutting my farm experience there short due to a personality conflict. Win some you lose some! It was clear I needed to move on. Found a horse trainer who is more in line with my beliefs and have been here for over a week, working and painting and a little bit of riding. On May 10th I said my goodbyes to Enrico and the animals and left for Rome, to meet a new friend, a possible travel partner I met on the work exchange site I use, under “Travel Companion Wanted.” Sometimes I get tired of traveling alone and thought I would see what this site has to offer and what possibilities could unfold. Nicolas is just joining the ranks of travelers and is from France, a former self employed “winegrower” as he calls it, cultivating and caring for vines, now working for a vineyard, but is ending his job this month in order to begin a new life of travel and a career change. He flew in from France to meet me for the weekend to see if we thought we might be good travel buddies in the future. 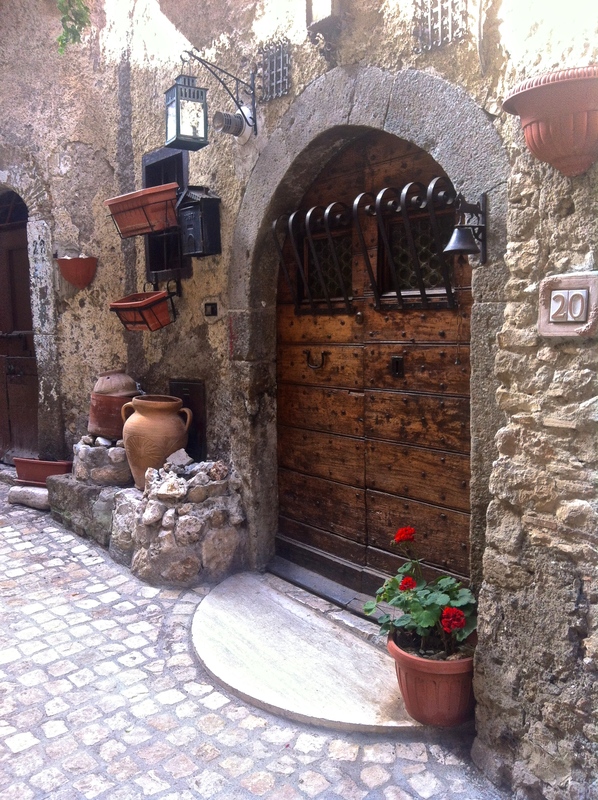 We met at the Rome train station and stayed in a small, 2 bedroom, rustic apartment in Artena, a tiny medieval town built on a cliffside, southeast of Rome. I found the apartment on AirBnB.com for an incredibly low price, considering what it was and where it was. After checking in we walked the maze of ancient cobblestone streets. I felt like we were in a movie set and also thought that this place ought to be featured in National Geographic! Here, the narrow streets are for pedestrians only, and mules, which they use to pack out their garbage and construction debris. The town consists of 400 inhabitants and they park their cars below in the more modern section of town to go to work. 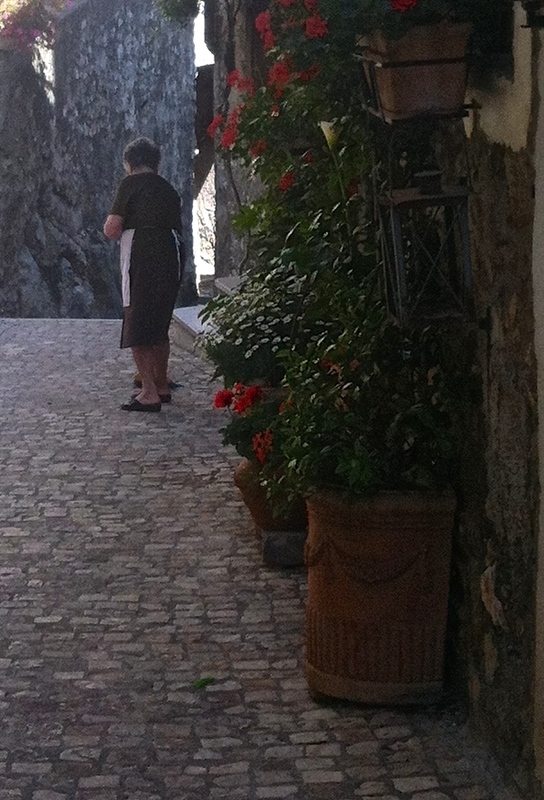 sweeping her doorstep who spoke only Italian. Nicolas met another while wandering the neighborhood to borrow a wine opener, as we discovered the apartment was missing some of the very essentials! The church was less than 20 meters down the way and we went in one evening to listen to the choir practice their songs for the upcoming Madonna Festival. We had met some of the women in the choir that evening and they invited us in. People were shining up candle holders, others on scaffolding behind the alter, preparing for the festivities, while the guitarist played and singers sang their beautiful devotional songs. We stayed a while then left to walk the town. The church bell would ring every 15 minutes throughout the day and night until midnight. This, and the sounds of workmen chipping away at stonewalls, renovating dwellings and loading packs on mules, the voices of people chatting in the alleys, and the sound of the busier town below, were the sounds we heard. Cats seemed to be the preferred pet, as we saw many in the cobblestoned streets and they embellished the already quaint scenery, sitting among the many flowering potted planters outside each doorway. I felt awestruck at every step, seeing ancient arched wooden doors with giant keyholes all along the way. Such as on our own! The manager of the apartment gave us the long involved rundown on how to open our many doors in order to enter our casa. It was a running joke between Nicolas and me each time we unlocked or locked the doors. I had him video the event for me because it was so hysterical! (sorry, this blog platform does not allow videos). The first key was GIGANTIC! I think it was the original from the 1600’s, at least it looked that way! “Ok, turn this key 10 times to the left”. Clunk, cluck, clunk….. We pushed the heavy, thick, dungeon looking door in and walked down the stone steps to find a heavy metal barred door. “This one you turn 6 times to the right”. Click, click, click….. Now the wooden two paneled door. “This one turns 4 times to the right.” OMG! And why all the security I wondered, in this tiny village where everyone was a close neighbor? It seemed like major overkill to us both. We looked at each other and had to laugh. We later discovered that the 10, 6 and 4 times, was not needed. One to three times would suffice. Whew! We were the first tourists staying at this apartment and she had only been there once before, as the new manager. I suppose we should have told her that the doors were not as complicated after all! But what the heck….good for laughs for the next guests! 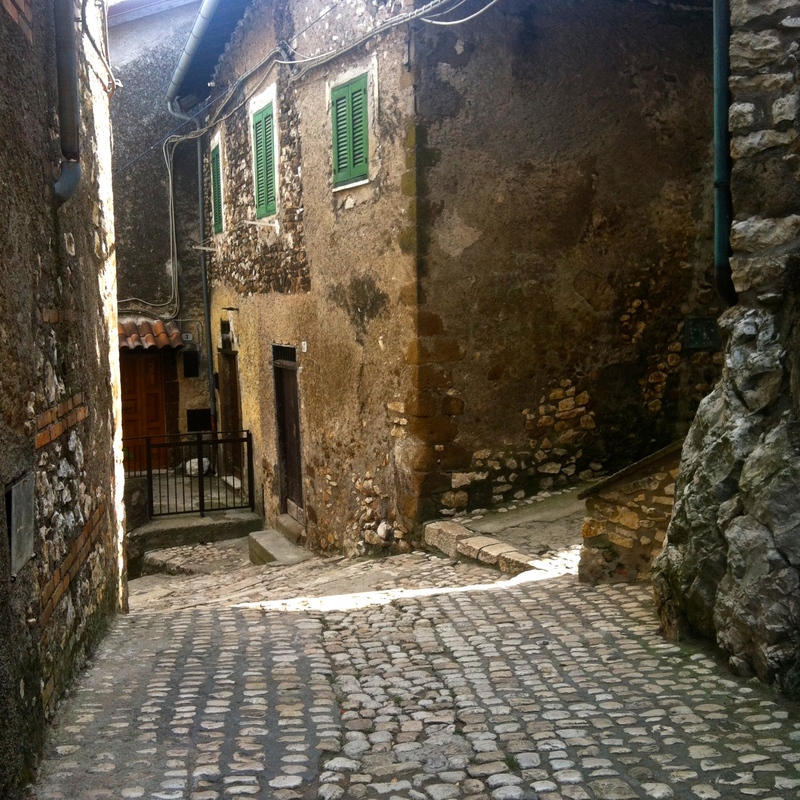 We were the only tourists in town….and got a glimpse of real life in a real Italian village. Here, in this little village, of all places, I met a woman who keeps a horse in town and uses Parelli Natural Horsemanship techniques, like me. We had an immediate connection because of this and later she invited me into her adorable medieval dwelling to show me around. The entrance was stunning with it’s old, glass paned door and ironwork, geraniums decorating the edges. The apartment was three storied with narrow stairways and original wrought iron hand railings and doors from the 1600’s. Simona’s son was sleeping soundly upstairs in her bed when she gave me the full tour that evening. I stood in amazement at yet another inspiring glimpse of how other people live. Tiny and compact in a tiny old village. Tiny seems to be a running theme these days! We made our way to town the next morning, meandering down, down, down, until we finally made it to the modern section of Artena and had coffee and croissants before hopping the bus and train to Rome for a tour of the Sistine Chapel. This has been a goal for this trip to Italy, since I missed it in 2009, as it was a Sunday and not open to the public. Wow wow wow. My neck hurt just thinking about all those hours Michelangelo stood, looking up and painting! Three years to complete the task! It was wonderful to finally see his greatest works, and amazing to learn that this was his first painting assignment, having been only a sculptor beforehand! (Sorry, no photos…not allowed in the Sistine Chapel and since I have a gazillion pics from Rome from my last visit, I didn’t take any this time). The tour lasted a couple of hours, and by the time it was done we only had minutes in St. Peter’s Basilica before catching the last bus and train back to Artena. Luckily I had toured it in 09, otherwise I would have been totally dismayed…as it is a sight to behold! I was disappointed, however, not to have time to find the Chiaramonte family alter which my Chiaramonte cousin told me to find and say a prayer in front of! Next time! Hungry and tired, packed in a train with standing room only, we made our way back to the village. Now it was up, up, up, making our way up the cobblestone roads on sore feet to find the restaurant Nicolas had luckily noticed that morning on our way down. Finally we found it and were amazed to find that it was built inside a cool, moist cave in the rock cliff! Only one other couple sat eating in this cozy place and we ate many delicious things with incredible flavors. It’s true, like a friend back home says, “the food in Italy just tastes so much better! Everything is so fresh and unprocessed”. So true. Nicolas and I parted ways the next day in Rome, he heading for France and me to Orte to my next farm. We agreed we would make good travel buddies as friends and hope to meet up next January, if all goes as planned. He’s eager to learn more English and wants an English speaking travel partner to help him learn. 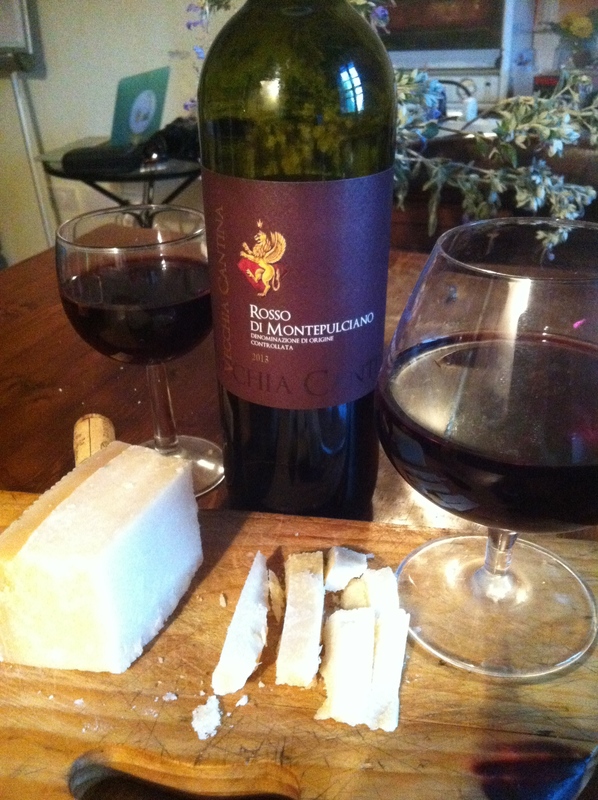 I already have my hands full learning Spanish and Italian….I’ll forego the French! But it’s fun to listen to his wonderful French accent! We continue to write emails back and forth so we can keep in touch and he can practice his English and learn more American expressions. His nickname for me is “Calamity Jan”. I like that. My next farm was interesting. Monica Lucci was my host and she was a cheery, yet very controlling host, micromanaging me every step of the way. She has three very tall horses and is a competitive show jumper with very specific ways of doing everything, from the barn to kitchen. 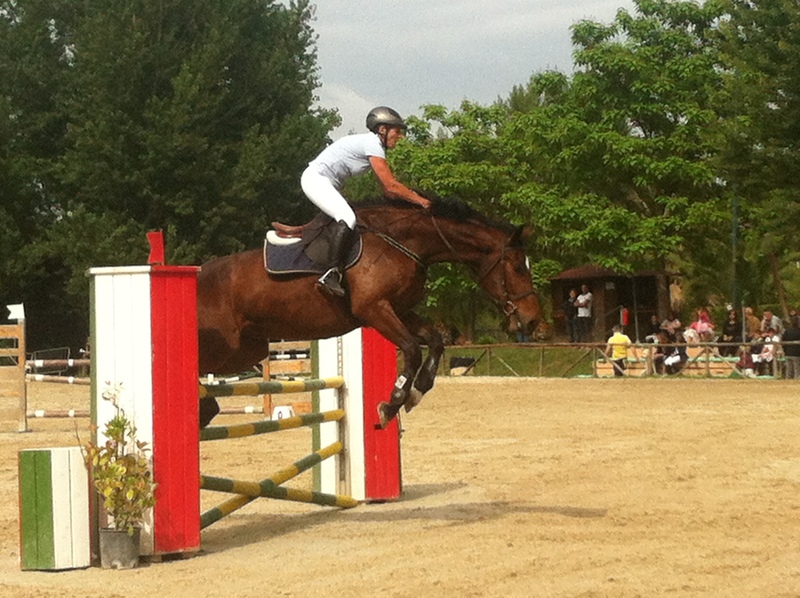 I went to the three day jumping event with her and watched her compete. A petite, strong and fit woman of 55, she is an amazing athlete. It was great to watch her jump and compete against all ages, coming in 6th out of 44 riders in her event. I was the groom and “hot walker”, exercising the two horses after each event. Her horses were a bit edgy for my comfort level, hot blooded and nervous with all the other 350 horses on the grounds. I decided to try to find another host and not carry through with my two weeks at her farm, as planned. Three days seemed like enough for me….it seemed risky to me with these high strung horses and host! I wanted to enjoy my last two weeks in Italy! 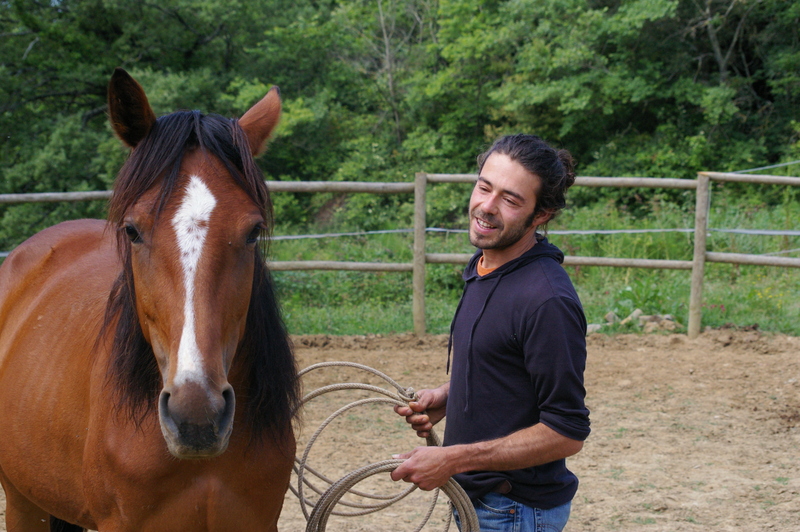 I searched on my work exchange websites for “last minute opportunities” and found Gianluca, a man of 35 who is a certified Parelli trainer and instructor. Right up my alley! I wrote and he said “Come!” so I broke the awkward news to Monica, that I would be leaving in the morning and gave her my reasons. I enjoyed her on some levels and felt bad to be leaving before my two week commitment was up but she understood that not all are a match. She said she was sad I was leaving and on some levels, I was too. Perhaps we could have worked out our differences, but it seemed like a chore. I was determined to end my days in Italy on a good note. I hopped the train for Certaldo, passing by Montepulciano, a medieval town I had visited in 09. I felt more at home here already! Gianluca’s sister picked me up from the station and we went to the farm and met Gianluca who had been working with the horses. I felt an immediate connection with him, a sweet and caring vibe emanated from this young man from across the field. I’m finding that “Parelli people” seem to have an immediate connection. It’s a technique that is all about connection with your horse, so why wouldn’t it be with the people who use it? I was feeling better already, more in my comfort zone and in familiar territory with a familiar mentality of horse association and communication. We had a nice dinner with the required wine at mealtime and talked till 2 am. Luckily Gianluca speaks English well or I would have tired much sooner! My work exchange here requires me to mow the lawn at the “agritourism” property where he has a rent exchange and pasture for his 7 horses. He is smart. He hosts people like me to do the yard work, and some horse work, work in the veggie garden. This allows him more time to spend promoting his Natural Horsemanship programs and train his horses. I learned a new word. Decespugliatore! (Weed-wacker) Why is it that EVERYTHING in Italian sounds so good? It was all a good workout…7 hours of lawn mowing over three days. Hot and sunny weather and a swimming pool in which it cool off! Not too bad. 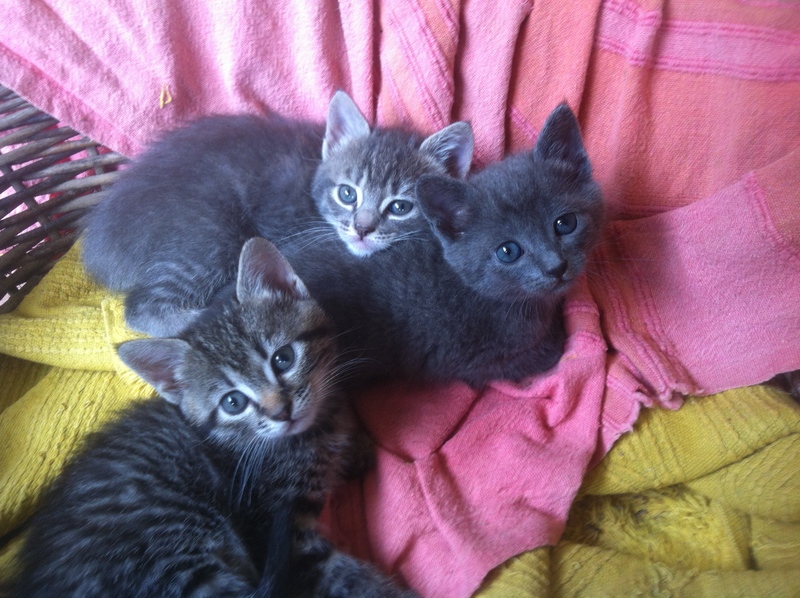 Then planting tomatoes and playing with sweet, well, mannered horses, and five kittens. What a joy to be here! I woke the next morning and went outside at 6 am to find a beautiful rainbow arching over the valley that played out in front of me, the medieval village of Volterra on top of the distant ridge, lit by the morning sunlight. Wow. At times I stop and think about where I am. 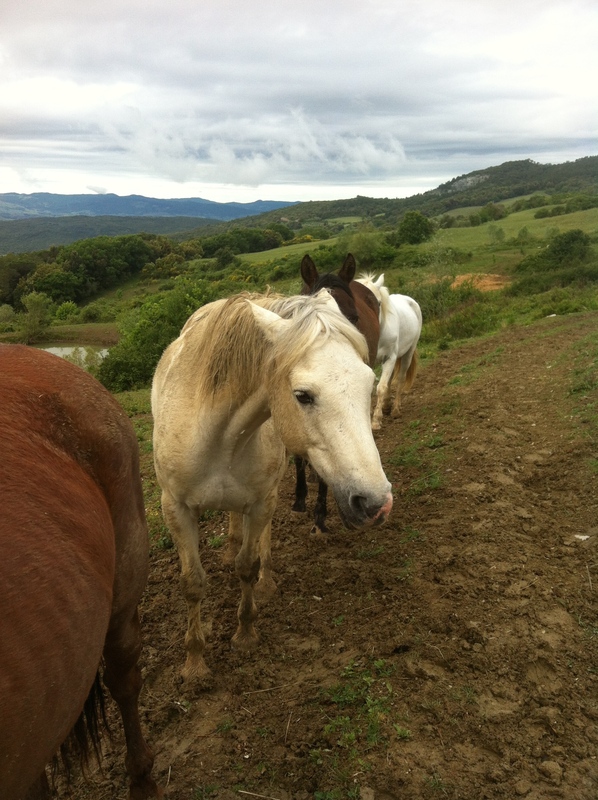 Working on a farm, with horses, in Italy….a life long dream come true. I mowed the lawn while listening to Martha’s Vineyard Radio on my iPhone App! Ahhh…technology! Van Morrison and other familiar artists, Cape and Island news and weather. How bizarre! Technology at it’s best! Ok, that’s it from this side. Arrevederci! Che vediamo! Buon dia ! im with you all the way !! I rode some excellent horses in Barbarino d` Elsa.. at Il Paretaio.. dressage schooled… was fantastically awesome !! Delightful! I’m so enjoying “our” trip. Happy you’re finding good energy. Thanks so much for sharing. I have always had regret that I missed Italy when I was in Europe in 1956. This is filling in that gap. ← Carriage Rides and a Gypsy Wagon!